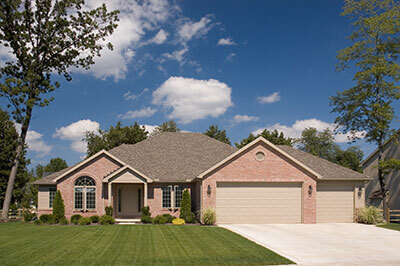 Different garage doors, and different homes and businesses, have different needs. Each opener we offer is engineered to fulfill a specific purpose, and we carry a full line of different openers to help fit those needs and bring you the satisfaction we seek to fulfill. 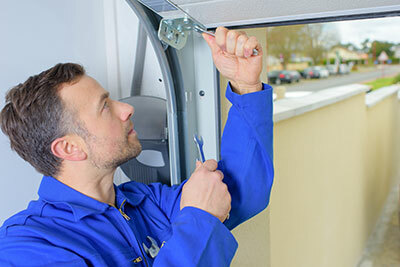 Every garage is unique, and we deal with each installation process on a case-by-case basis in order to ensure the best and most consistent service to our customers. Each opener has pros and cons. Chain openers, for example, are economical and durable, but tend to make a lot of noise. What opener you’ll want will depend on how often you use it, the area of the garage that will be in use, the size of your cars, the climate and the amount of space in your garage overall. With these criteria in mind, we’ll help you narrow down the options and pick the best fit for you. If you’re in the market for a commercial garage door, the trolley-style operator is for you, as is the jack shaft-style commercial door. The jack shaft in particular is ideal for a door that can be opened both mechanically and by hand, which is ideal if you need to open it often, or if the garage needs an emergency exit point. Talk to one of our consultants and we can get you the door opener that’s perfect for you. A faulty opener can cause many problems, and unfortunately it can start malfunctioning at any time. Our trained techs have years of experience installing garage door openers. We know that your opener is important to your home and we always make certain that they are installed correctly the first time to ensure that your door opens and closes when you need it to. Our techs will work quickly to get your opener installed correctly and test it to make sure it is working properly and there won't be any issues. What’s better—having to step outside of your car or home in the freezing rain just to bend over and haul open a heavy garage door, or staying inside of your nice, warm car, and pressing a button? Garage door openers make entering and exiting your garage an easy task, while adding security, elegance and value to your home. Don’t get stuck in the snow, rain or sleet trying to get your door open. Let our durable openers do the work for you, so you can stay safe inside your car and not have to brave the elements. If you’re looking for a new opener, looking to maintain or repair an old one, or if you have any questions at all about either, stop by Virginia Beach Garage Door Pros. Our team can help you find the most cost-effective options for keeping your garage door opening and closing like a dream, so you can focus on the things that matter. Don’t let a garage door crisis put a damper on your day—call Virginia Beach Garage Door Pros!